We won’t pay you to drink beer but we will offer you one to find a job! The innovative foodtech startups accelerated by Startupbootcamp FoodTech are looking for people to join their companies and go faster! 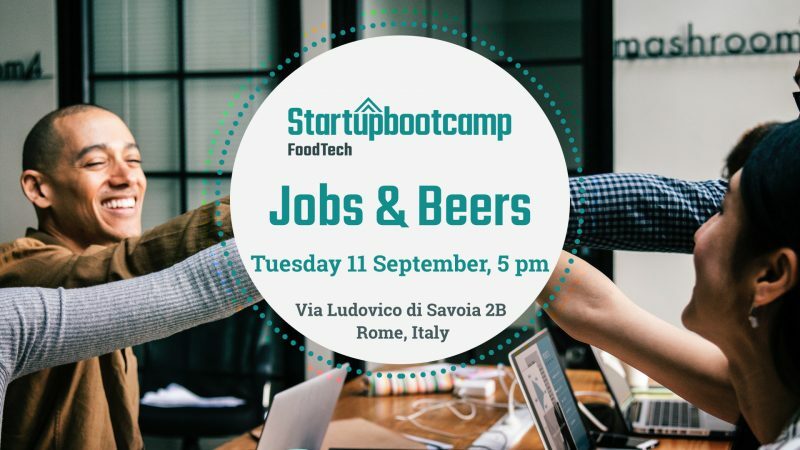 Jobs & Beers is your opportunity to be face to face with the founders of one of the most exciting batches of foodtech startups in Europe. They were selected ahead of nearly 700 startups from all over the world and they made it through to Startupbootcamp FoodTech. This is your chance to join a startup right from the beginning. Come and meet us on September 11th to meet top foodtech startups and grab the opportunity to work with them. Your CV, fluent English language, and learning desire. REGISTER HERE to request your invitation and join us for free!